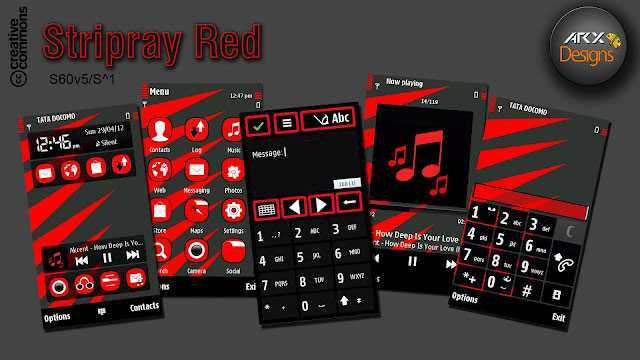 Nokia Belle Stripray Red Theme: ARX Design launches their first series of theme for Nokia Belle platform with a redefined elements and superb color combination. It includes some third party app icons too which makes the theme a perfect blend for its Nokia Belle users. The theme is currently made available in Red variant. Other color variants will be released as upon user request and suggestions. So, do let us know about this theme and suggestions are always welcome.